A few days ago, councillors Anna and Peter met with the Lambeth officer leading discussions with Thames Water. We have had a briefing on proposals – but with a clear caveat that these are still being negotiated so are subject to change. We will update this blog as things change and you can also sign up for email updates from us by clicking here. The proposed scope of works is to replace 840m of existing 21” cast iron trunk main in Norwood Road. The extent of this lies between Thurlow Park Road in the north and Robson Road in the south, passing under the Network Rail bridge at Tulse Hill station. It will be a brand new pipe, which will only plugged into the network once it is installed – the existing pipe will be left in the ground and abandoned. This should mean less road gets dug up and potentially also means the redundant pipe can be used to reduce future disruption if, for example, new internet or electricity wires need to be laid as they can go through the empty pipe rather than requiring a trench to be dug. New monitoring equipment is proposed to be installed in the new pipe and this should make the network easier to monitor for leaks. The reasons given for this work are to address flooding issues. The existing 21” cast iron trunk main was installed in 1890 and due to age and fatigue has a history – as many of us have experienced with increasing regularity – of bursts. The work is proposed to be “open cut” which means a trench has to be opened. The reason given for this is that the existing trunk main is too small a diameter to slip line and would not provide sufficient volume for the current population. Thames Water is looking at a £14 million price tag for these works. Original proposals apparently involved a linear programme of works – starting at one end and working the length of Norwood Road. This would have taken a very long time, and in an effort to reduce the length of time that there are disruptions Lambeth officers have proposed having two “fronts” so that work begins in two places, one at the northern end of the scheme and one halfway along, and then progress southwards simultaneously. This would mean the scheme takes less time. Trenches would be dug in stages, rather than all at once. Each section would result in one lane of traffic being closed, and temporary traffic lights managing traffic flow past the works. Each section may also result in a side road being closed while that section is being worked on. There are currently no bus diversions proposed, though temporary lights will clearly cause a lot of congestion and we would expect bus journeys to take longer too. However, we had been concerned about buses being diverted away from West Norwood, so we’re pleased that that’s currently not the proposal. We raised the concerns raised at the public meeting we held recently about deliveries to businesses, continued water supply for businesses and residents, the ability for the Feast to continue running each month, about public transport and congestion, about parking, about disabled access, about compensation for businesses, and about additional investment and improvement in West Norwood. We were reassured by many of the answers. Officers are aware of the importance of Feast for example, and have already lobbied Thames Water for changes to ensure Feast is not disrupted – original Thames Water proposals used Chatsworth Way for storage and this would have prevented Feast stalls from being erected. Lambeth officers have persuaded Thames Water to change their storage plans so that the space remains available for Feast. There should be no interruption to water supply, which reassures us especially for vulnerable customers and for those businesses which can’t function without it like Floral Hall and the many hairdressers. Lambeth officers are aware of the issues surrounding deliveries, and the importance of ensuring convenient times and locations. We understand that conversations with all businesses will take place so that delivery requirements are fully mapped and can be planned for and enabled. We remain concerned about the impact on businesses – we haven’t had clarity on compensation but understand that some piecemeal attempts to talk to businesses individually have been taking place. We have strongly put that compensation should be in advance to prevent any businesses closing down, and that rather than risking businesses being picked off individually or played off against each other that Thames Water also work closely with the BID to ensure all businesses are supported. We’ve also asked about how to ensure a balance between redirecting through traffic that doesn’t stop locally while still communicating that West Norwood and Tulse Hill are open for business, and encouraging shoppers to travel here – particularly by bus, on foot and cycling if able. We raised concern about the lack of communication to date – with councillors, businesses, community groups and residents. We have suggested regular councillor briefings and to meet Thames Water directly. We’ve asked for communications to local residents, and have been told that current proposals would see a letter from Thames delivered to tens of thousands of residents in the next week or two – the exact geography of this is still being discussed. Lambeth have also secured agreement for Thames to fund a dedicated officer for this scheme, and that there will be 24-hour on-site presence, so that residents and businesses have an easily accessible point of contact. We’ve asked for drop in events with information for businesses and residents, as well as a public meeting with Thames Water, Lambeth and TfL all on a panel and able to share information and ask questions. The offer of project officers attending BID meetings or business forums on a regular basis was also offered. Officers have been in touch with cycling groups and are contacting community groups locally. We’re encouraged that these all seem to be in the pipeline (sorry – we couldn’t resist at least one water related pun!) – do sign up for our email updates so that we can make sure you’re invited to the meetings. We share the concerns of residents and businesses that this will be hugely disruptive and could seriously harm our town centre – we are doing all we can to ensure negative impacts are minimised and mitigated. We also want to secure as many positive benefits from the works as possible – for example, full resurfacing of the carriageway rather than simply patching up trenches and STEM training or work experience in local schools. Thames Water are planning to replace mains in West Norwood, blocking much of the town centre for many months. This meeting is organised by councillors in Thurlow Park and Knights Hill to listen to residents’ and businesses’ views, and take your concerns to Thames Water and TfL. Wednesday, 30 January 2019 from 19:00-21:00 in the community room at the back of the Library. We are very excited that West Norwood town centre will be welcoming a new restaurant. Opening early next year, 400 Rabbits will be opening their third restaurant in South London on Norwood Road, where Kahvah used to be. Residents have often raised the lack of choice in the evenings in West Norwood, and along with the new cinema we welcome the new addition to our evening economy. And were delighted to welcome Sweet Carolina at their opening this week – on the corner of Bloom Grove and Knights Hill, opposite the library. As well as many local businesses investing in improvements in store, including Champagne and Chocolate on the corner of Lancaster Avenue, Iceland and Greggs. While there are many challenges for high street stores and independent businesses, we are pleased that West Norwood continues to grow as a town centre where people enjoy spending time and shopping locally. We continue to work closely with the Business Improvement District to support local businesses and will continue to stand up against potential Government business rates hikes which would create an even more challenging business environment for many. Show your support for local businesses on the first weekend in December on Small Business Saturday by shopping in West Norwood and supporting our local independent businesses. 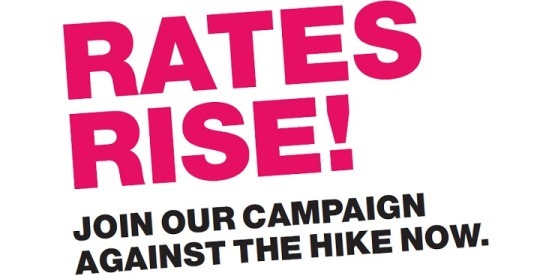 Lambeth council and local businesses are working in partnership to campaign against the Government’s impending huge rise in rates. The business rate revaluation, which is due to come into force from 1 April next year, will see some businesses pay 45% more in rates. This hike in rates could prove crippling to some businesses, especially those with 5 or fewer staff. West Norwood and Herne Hill, each with a high proportion of SME businesses, will be very hard hit. Lambeth has written to the Secretary of State for Communities and Local Government asking for measures to be put in place to support businesses through any rates rise and a longer term review of the effectiveness of business rates as a method of taxation. London businesses overall will pay an additional £855 million in business rates every year, while businesses in much of the rest of the country will see rates decrease in real terms. 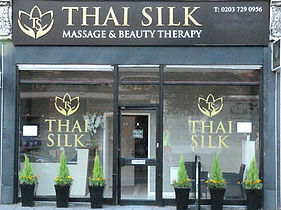 Support Lambeth’s businesses – sign our petition. We are delighted to share that yesterday the businesses in West Norwood and Tulse Hill voted to form a Business Improvement District (BID). The vote was 76% in favour of the Station to Station project which encompasses over 300 businesses. A BID is a not-for-profit collective of local businesses, enabling business to come together and collectively lobby for improvements, contribute to and spend a shared fund as well as take the lead in shaping the community to allow local businesses to thrive. There are currently over 47 BIDs in London and in Lambeth there are BIDs in Vauxhall, Brixton, Streatham and Clapham. Improving the business community is a priority for us as your local Labour councillors. We campaigned for investment in local businesses and for the development of a BID as candidates in 2014 and have been working hard on delivering it since. Cllr Fred Cowell as the West Norwood Neighbourhood Lead has been working really hard with local businesses and the Means consultancy, along with many other hard working volunteers from the business community, to make this happen. It has been hugely valuable to have a local neighbourhood lead councillor to drive this forward and ensure momentum. For example, in April the BID steering group were able to launch a fashion show in at the Portico Gallery, showcasing designs made in Norwood. We are looking forward to working with the BID when it starts in work in September and hope to see many more successes in the future.